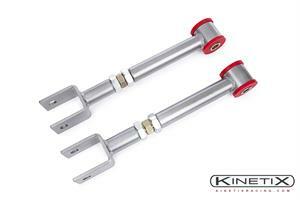 These adjustable arms will allow a full range of camber adjustment for your rear wheels. 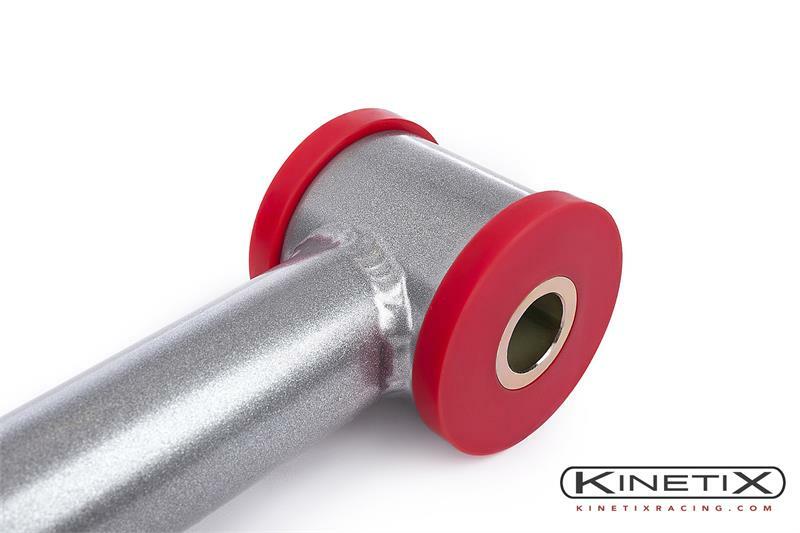 Also featuring upgraded ENERGY SUSPENSION polyurethane bushings, these arms are considerably stronger and stiffer than the factory arms. Fabricated out of DOM steel, with a grade 8 center turnbuckle for increased stiffness and strength. 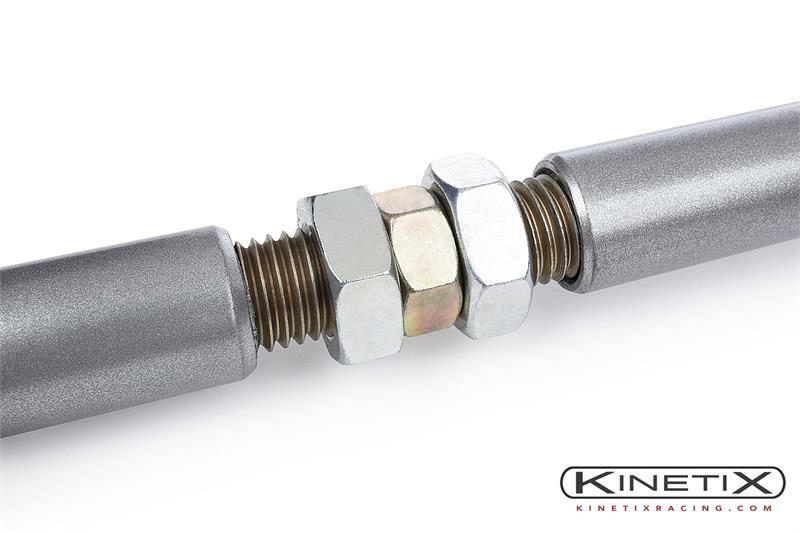 Center turnbuckle has course threads for easy adjust-ability. Are produced in house and are precision TIG welded.